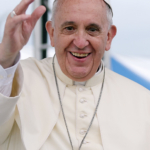 The Tenth Gidea Park Study Day will mark six years since the election of Pope Francis. 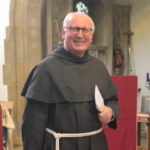 Fr Alban McCoy OFMConv will lead the day, entitled ‘The Gospel according to Pope Francis’, and consider how Francis has courageously fostered the renewal of the Catholic Church. Fr Alban will also ask how this renewal might be appropriated and sustained at every level of Church life. and An Intelligent Person’s Guide to Christian Ethics (2006). The event will be held at the Catholic Church of Christ the Eternal High Priest, Gidea Park, RM2 6DH on Saturday 16th March from 11 am until 3 pm. Refreshments available but please bring a packed lunch. church. Three minutes’ walk from Gidea Park station. Please check the Abellio Greater Anglia website for possible service alterations.